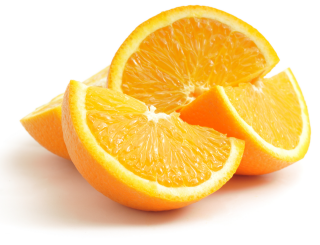 Vitamin C is a water-soluble vitamin that is essential for normal human growth and development. Water-soluble vitamins dissolve in water, meaning that leftover amounts of the vitamin leave the body through the urine. Humans, unlike most animals, are unable to synthesize vitamin C on our own, so we need a continuous supply of vitamin C through our diets. Fruits and vegetables are the best food sources that contain vitamin C. Citrus fruits (like oranges) and juices, tomatoes, and potatoes are major contributors of vitamin C to the American diet. Although vitamin C is not naturally present in grains, it is added to some fortified breakfast cereals. Geritol® multivitamin contains 100% of the daily value of vitamin C in every daily dose, just the right amount. Vitamin C. David Zieve, MD, MHA, and David R. Eltz. 2/15/2011. US National Library of Medicine: National Institutes of Health. Retrieved from: http://www.nlm.nih.gov/medlineplus/ency/article/002404.htm January 6, 2013. Dietary Supplement Fact Sheet: Vitamin C. Office of Dietary Supplements. National Institutes of Health. Retrieved from: http://ods.od.nih.gov/factsheets/VitaminC-HealthProfessional/ January 6, 2013.